Digital Detective Group offers a limited return policy for certain products only. The following contact information should be used to process a return. For software protected by a licence key file, once the licence key file has been generated and e-mailed to the customer, there is no return or refund offered. For software protected by a USB hardware dongle, a 7 day customer satisfaction guarantee is provided for software sold directly by the Digital Detective Group to its end users. The following procedures apply to any such return. You must notify Digital Detective Group Customer Service by telephone or email of your intent to return within seven (7) days of the product ship date. Customer Service will provide you with a RMA (Return Merchandise Authorisation) form via email. You must complete and email the RMA form to Digital Detective Group Customer Service within five (5) days of your notification to Digital Detective Group of your intent to return the product. Upon receipt of the RMA form, Digital Detective Group will email to you an RMA number within five (5) business days. Upon your receipt of the RMA number from Digital Detective Group, you must promptly ship the returned product to Customer Service at the address above. You should reference the RMA number for faster processing. Digital Detective Group will issue you the appropriate refund upon receipt of the returned product(s), less the cost of any shipping. The original payment method will be used for the refund (i.e. credit card or cheque). It is highly recommended that you use a mail/shipping service that provides a tracking number, since it is your responsibility to ensure the return of the product to Digital Detective Group. As part of the quality assurance process, a member of the Digital Detective Group management team may contact you prior to, during, or after the return in order to better understand the reason for the return. All product returns are subject to the minimum £35 restocking charge. Additional charges may apply for damaged or missing parts. In order to receive a refund on any returned product (less the restocking fee), the product must not be damaged (whether by the courier chosen by you to return the goods, or otherwise). The product must be returned in as-new or re-saleable condition to qualify for a refund, including all cables, manuals, software, dongles and original packaging. Refunds are not issued for shipping charges. 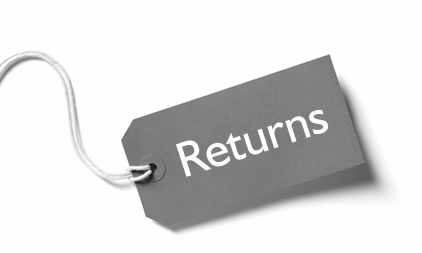 For all returns, please contact Digital Detective Group’s Customer Service line on +44 (0)844 330 8892 to initiate the return process. Freight on returned items must be prepaid by the customer, and the customer is responsible for any loss or damage caused by the courier in transit. Include a contact name, daytime phone number and email address for Customer Service to contact you for clarifications. To reduce the risk of damage, returns of product must be in the original packaging. If the original container has been lost or damaged, Digital Detective Group recommends that the customer utilise a professional shipping service to minimise risk of damage.